Robust printing power does not have to mean a large multifunction office machine. 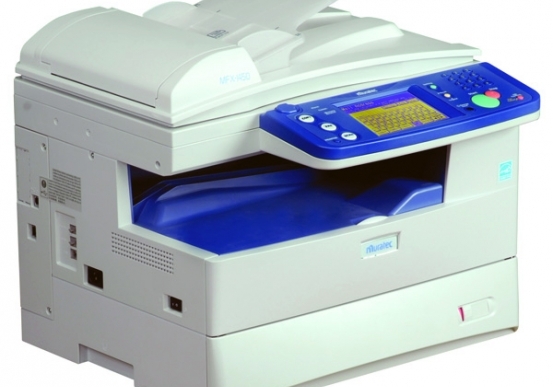 The Muratec MFX-3070 from Pacific Office Automation is the best black and white laser printer for small businesses, regional offices, and corporate work groups who need cost-effective printing, copying, and scanning abilities without a large desktop footprint. Despite its compact size, this model does not sacrifice quality or efficiency. This monochrome printer outputs at speeds up to 30 pages per minute, keeping your large projects—like proposals and reports—under control. Even with such speed, your office can expect superior print quality from this advanced office technology. This model is built on a high-resolution LED print engine that delivers crisp graphics and text, even on ordinary office paper. Keeping the highest standards in print quality will help you keep business and gain new clients who will consistently be impressed with the quality embedded in your document hard copies. Superior performance does not have to yield complicated operation or maintenance. The MFX-3070 provides a simple user interface that quickly navigates you through machine operation. When it is time to reload, paper can be placed effortlessly into the paper cassette and bypass tray and toner and drum cartridges can be changed in a matter of minutes. Paper loading will no longer hold up your large volume projects with a standard 250 sheet capacity, which is further expandable to up to 781 pages. Muratec, one of the most respected names in office technology, makes sure that your time spent in front of the printer is minimal so you can get back to real work. Dimensions (H x W x D) 19.7" x 17.6" x 17"
Platen Glass 8.5" x 11"